In the exhibition on which this film is based – VAN GOGH & JAPAN at the Van Gogh Museum in Amsterdam – one can see why. Though Vincent van Gogh never visited Japan it is the country that had the most profound influence on him and his art. One cannot understand Van Gogh without understanding how Japanese art arrived in Paris in the middle of the 19th century and the profound impact it had on artists like Monet, Degas and, above all, Van Gogh. Visiting the new galleries of Japanese art in Paris and then creating his own image of Japan – through in-depth research, print collecting and detailed discussions with other artists – Van Gogh’s encounter with Japanese artworks gave his work a new and exciting direction. 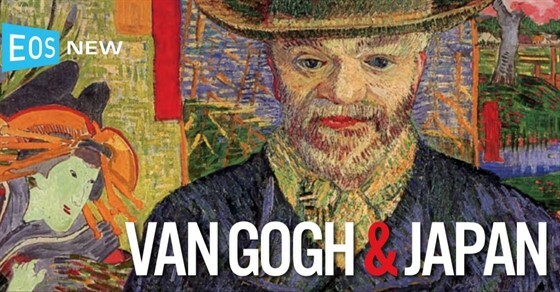 After leaving Paris for the south of France – to what he thought of as near to a kind of Japan as he could find – the productive and yet troubled years that followed must all be seen in the context of Van Gogh bending Japanese influences to his will and defining himself as a modern artist with clear Asian precursors. In this overlooked story of Van Gogh’s art we see just how important his study of Japan was.